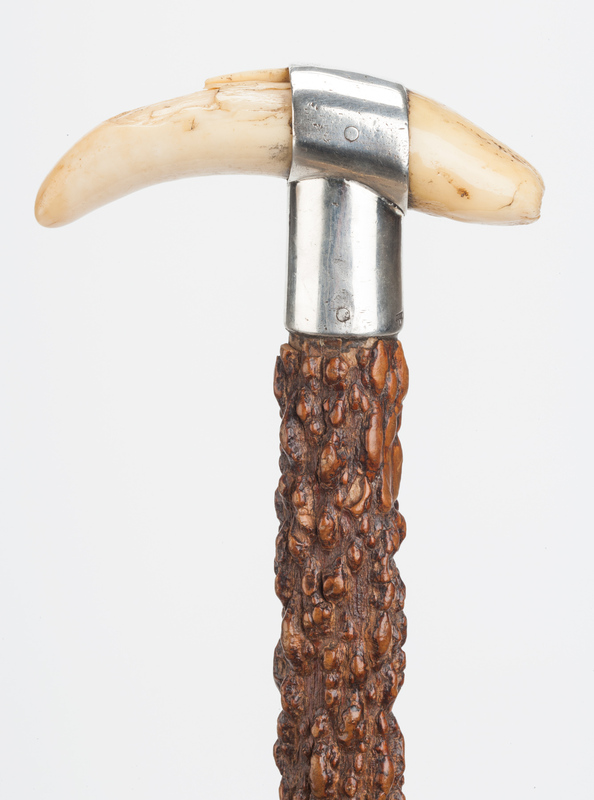 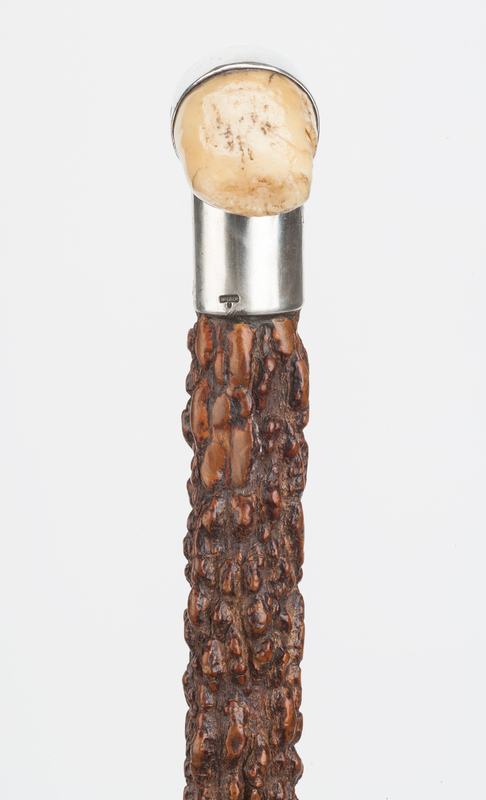 A Whale's Tooth Mounted Walking Stick, set within silver on a cork-like cane. 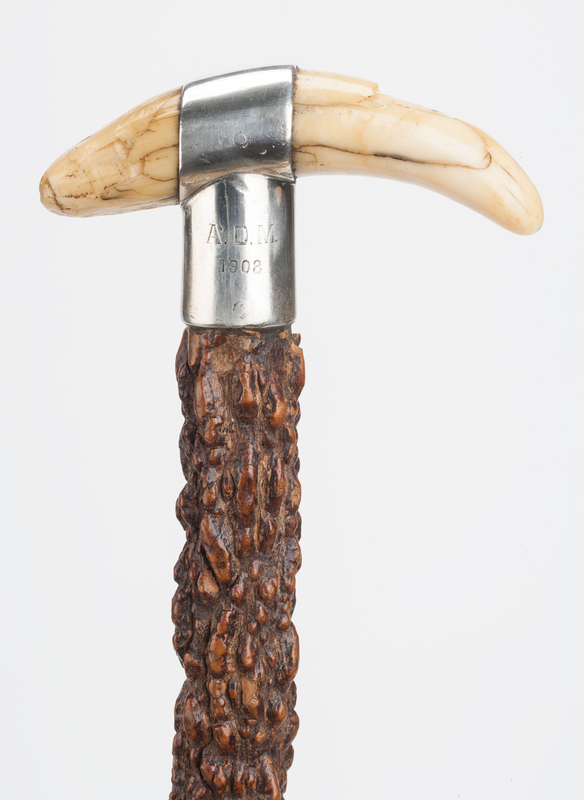 The silver marked McG & Co over P and further engraved A.D.M 1908. 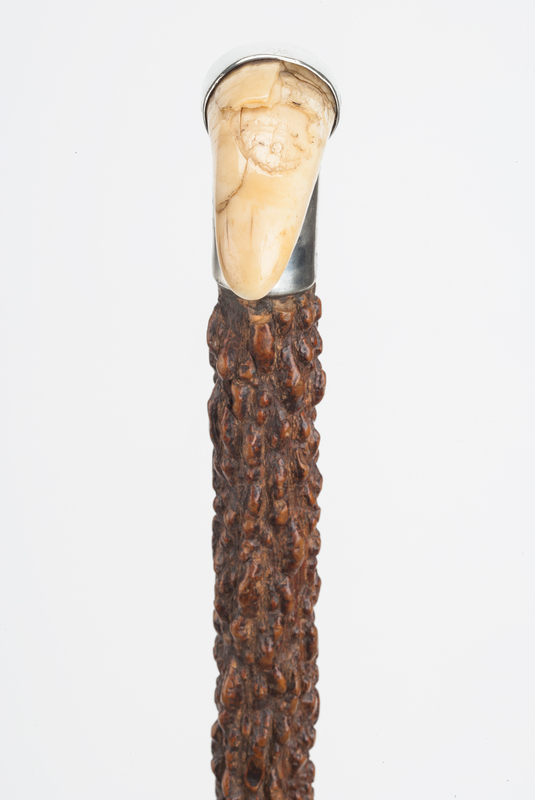 The tooth of good colour and patina, with old damages.